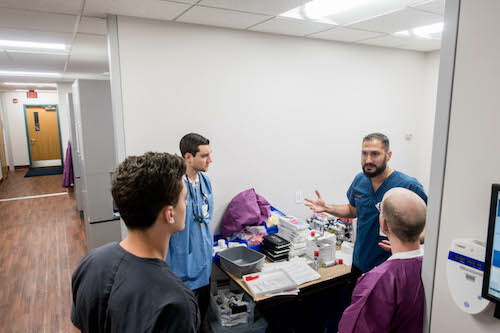 Members of Stony Brook School of Dental Medicine's student body, faculty, and staff provided much-needed oral health services to 100+ patients in rural Pine Ridge, South Dakota. 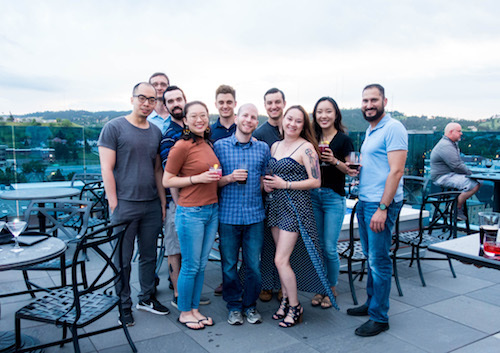 As part of its national outreach initiatives, Stony Brook School of Dental Medicine conducts annual missions to Pine Ridge, South Dakota each summer to provide oral health care to underserved residents. Pine Ridge is located within an Oglala Lakota Native American Reservation, a reservation which maintains an unemployment rate hovering around 80% with much of the population below the national poverty line. The counties that comprise the reservation are among the poorest in the nation, and its residents are left with very limited access to health care, including oral health care. 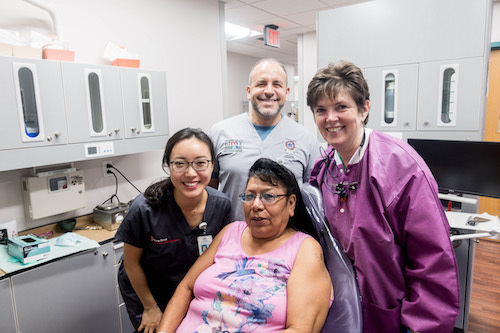 The outreach mission to Pine Ridge allowed Stony Brook School of Dental Medicine team members to provide care to over 100 patients who were seen for the fabrication of dentures and partial dentures, denture repairs, the extraction of non-restorable teeth, fillings, and cleanings. The team was comprised of four faculty members, one dental assistant, and six students. 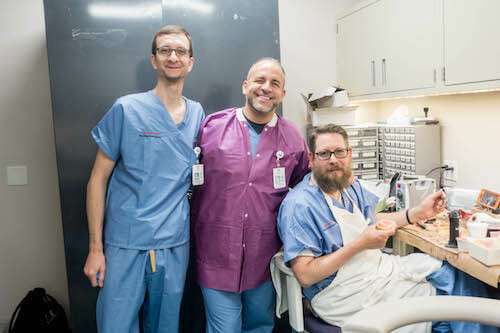 "For me, the most rewarding memory was providing a complete and partial denture to an older woman who had only had her lower front teeth to chew with," said student Devin Klein. "When I delivered the prosthesis and gave her the mirror to look at herself, I could see the tears welling up in her eyes. She was incredibly thrilled." The resiliency of the patients particularly moved student Wendy Fang. "The people of Pine Ridge are part of a strong community that has been dealt an unfortunate hand," said Fang. "Talking to the patients and getting to know them really paints a picture of the social determinants that have impacted their health and quality of life, but they also have so much to teach us about strength and optimism of the human spirit." 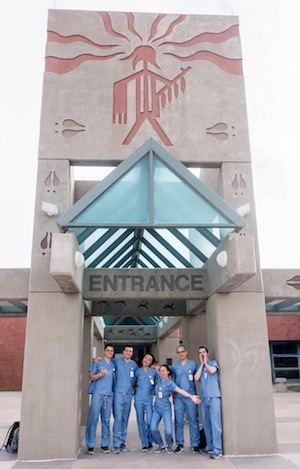 The outreach mission took place at the Pine Ridge Indian Health Services Hospital facility over the course of 12 days. 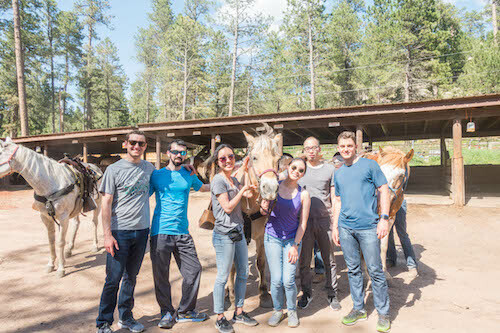 Stony Brook School of Dental Medicine's team also took the opportunity to further explore the area and culture with trips to Mount Rushmore, Crazy Horse Memorial, and to Badlands National Park. 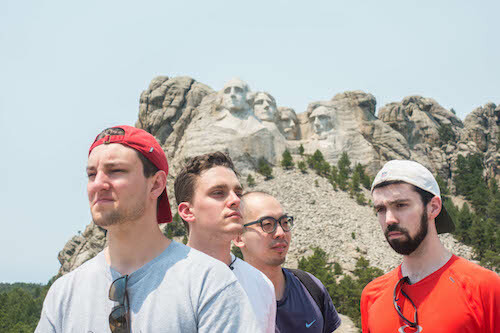 "South Dakota was one of the most memorable and rewarding experiences of my life," said student Robert Tan. 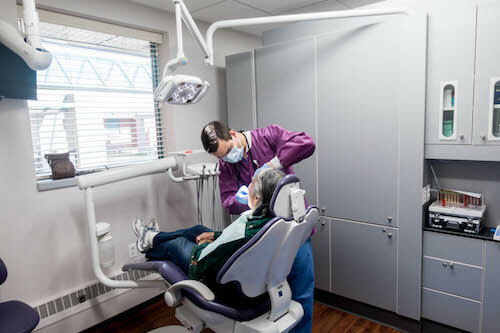 "Our 18 years of work South Dakota is reflective of our institutional commitment to providing oral health care to the underserved and to educating the next generation of dentists to the scope of need not only at the local level but nationally and globally" said Dr. Mary Truhlar, Dean, who participates in the mission each year. "We look forward to returning and continuing to provide our students this service learning experience as well as provide the Sioux nation with much-needed care." All photos courtesy of Erin Wang.